Hotel Park brings something different to Doha. 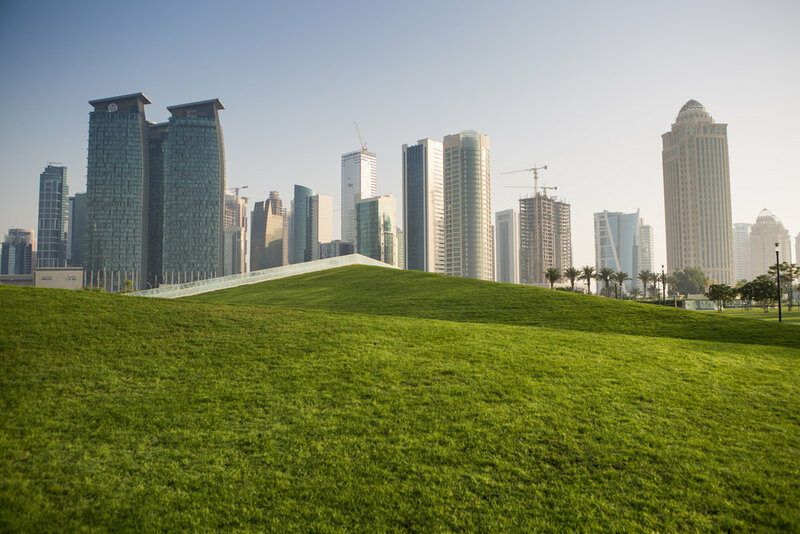 Amid the bustle of Doha’s West Bay business district, families can now gather to enjoy abundant green spaces, child-friendly play areas, good food and modern, accessible facilities. Hotel Park's sophisticated design and distinct architecture make for a unique visitor experience. 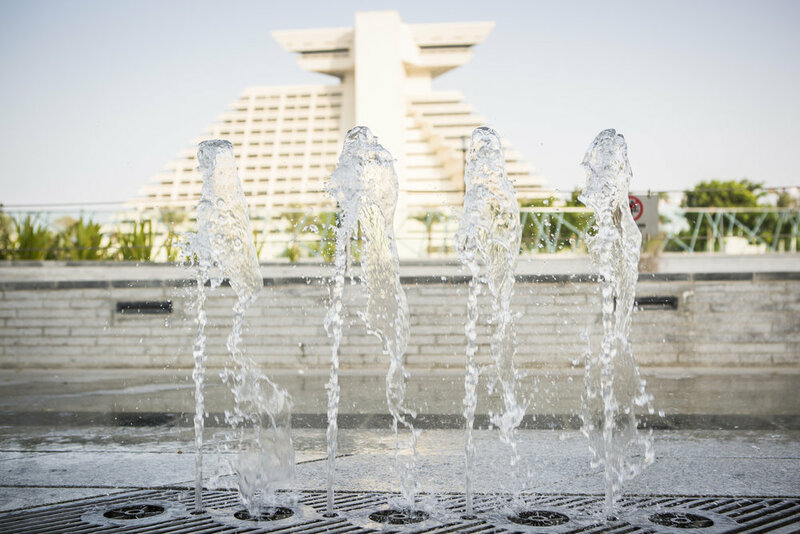 Find a quiet area to read by the water gardens, picnic under the shade of a Date Palm, or lounge under the light of West Bay’s skyscrapers. Hotel Park is a community gathering place - there is an event for everyone. Take part in this special day from the leafy embrace of Hotel Park. Everyone loves a picnic. Grab a basket and bring the kids. LaLiga Lounge Doha is the first themed restaurant planned as part of an expansion plan that will give LaLiga fans the opportunity to enjoy similar spaces all over the world. It will also be a place where fans of LaLiga can meet to enjoy the best matches in the world with excellent food. 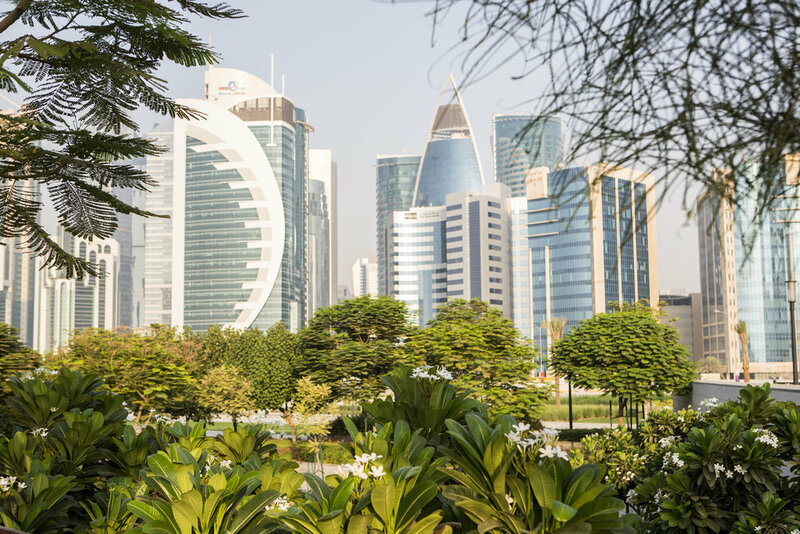 The weather may be hot, but don't let that stop you from getting outdoors and enjoying some of Doha's spectacular sunsets. 80,000 square meters of park space, with over 34,500 square meters of green space, equivalent to more than 5 football pitches of green grass to play on. ©2017 Hotel Park. All rights reserved.